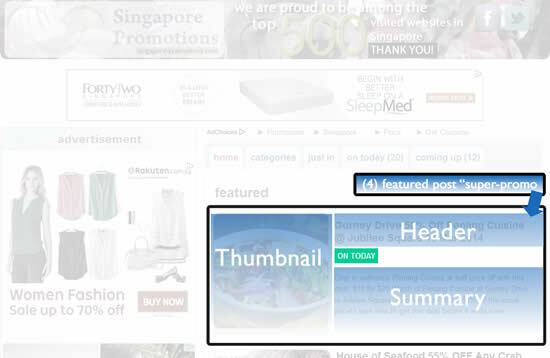 Get your promotion featured on MSIAPromos.com for a low one-time price of only RM499 . 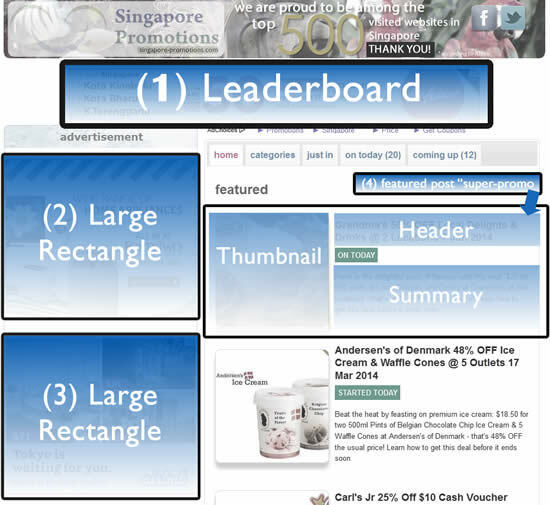 The article will be tagged with a calendar entry*, allows photo uploads, your marketing content and title. Article is promoted in the “Related News” section for other articles in the same category for up to 24 hours or more! 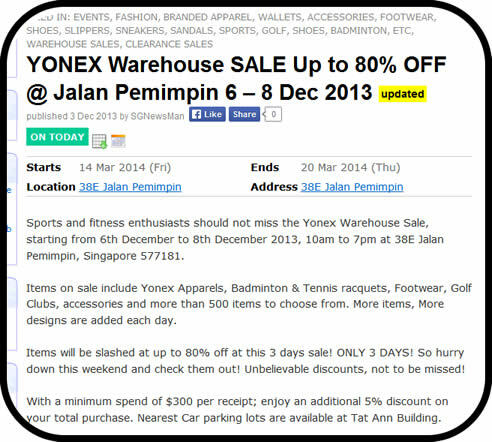 The Standard Event Article is currently going at a one-time payment of only RM499 . The article will be permanent. For ALL of the above, we believe this is a price hard to beat! Thousands of our fans are also on Facebook and Twitter waiting to hear your latest promotion event! Pricing: With the large size placements, thousands of visitors will be viewing your event every day – at the homepage as well as almost all the other 50000+ pages. Only RM299 /day for the upgrade. The following are our banner advertising and featured advertising spots. Please bid through Google Adwords or e-mail your preferred rate for our consideration. Contact us here with your event details and we will respond within 12 hours.